The admiralty practice within McDowell Knight Roedder & Sledge, LLC, litigates all forms of admiralty and maritime matters in state and federal courts, in addition to performing consultation and transactional work in non-litigation matters. The firm has an extensive litigation practice involving personal injury and wrongful death claims, including Jones Act claims, general maritime law claims and LHWCA claims. McDowell Knight also has represented numerous commercial clients in prosecuting and defending maritime lien claims, collision claims and cargo claims, which encompass the seizure and/or attachment of vessels, cargo, bunkers, etc., and the defense of seizures and attachments. 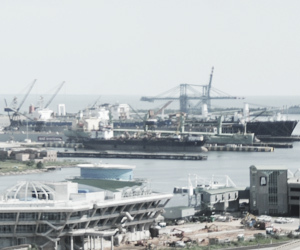 Beyond litigation, the firm’s admiralty section also regularly consults with and performs transactional work for shipyards, tugboat companies, and barge companies.